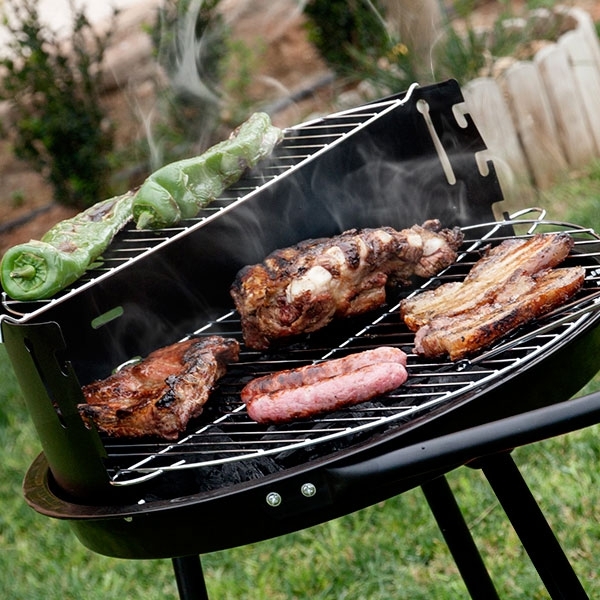 Two-level coal BBQ is perfect for terraces and gardens. 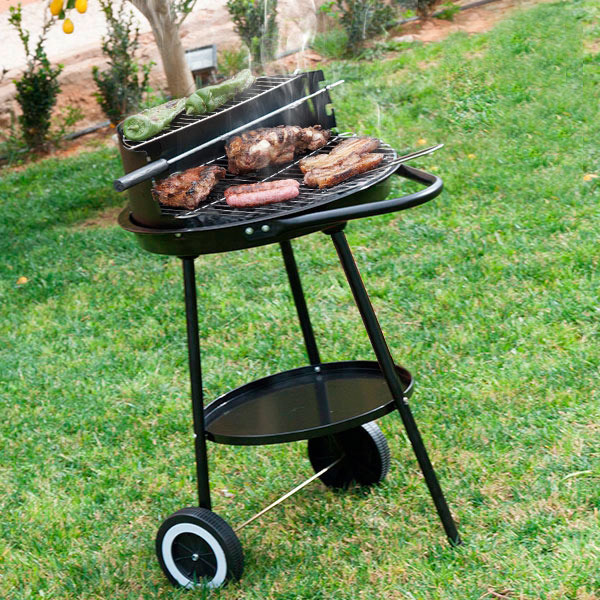 This outdoor barbecue is made of aluminium and has a tray for utensils, condiments, etc. You can cook in the upper or lower level, as well as roast using the skewer included. First level diameter x height: 43 x 58 cm. Second level diameter x height: 43 x 70 cm. It includes instructions and the nuts and bolts required for assembly.